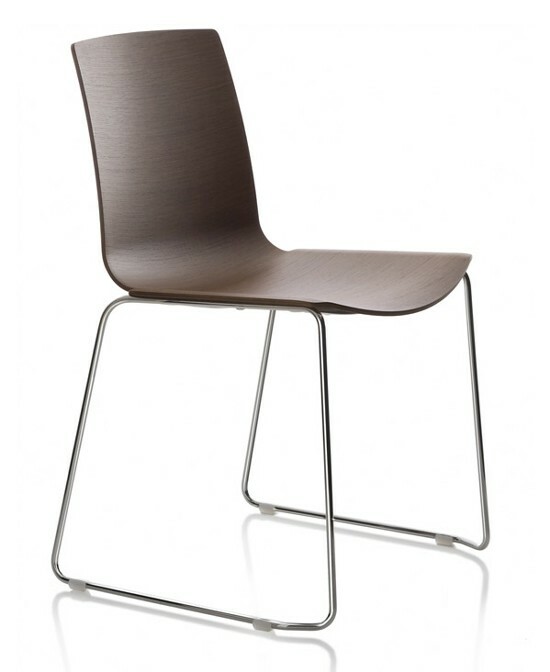 A solid and light dining chair perfect for use in public spaces, work spaces and the home. 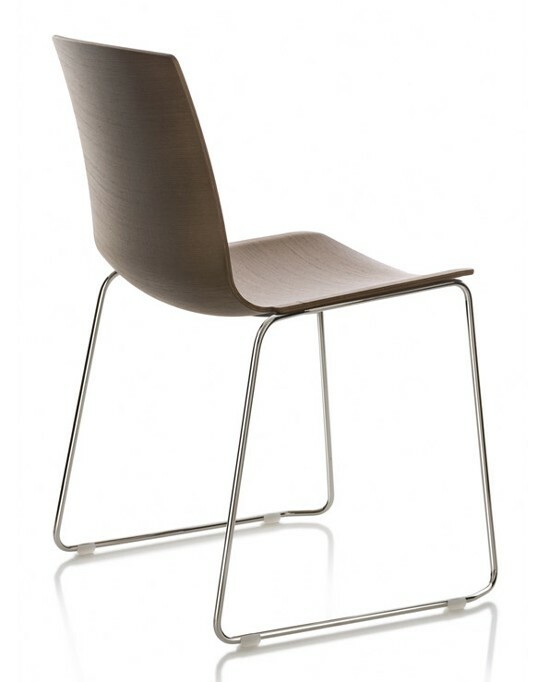 The seat is made from a thin section of laminated wood, curved with three-dimensional technology; the way it is built gives it controlled flexibility and an ideal level of comfort. Steel tube frame: white painted or chromed. 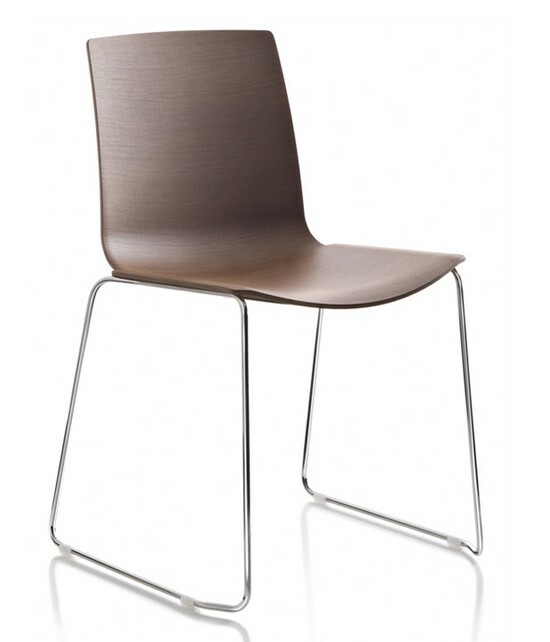 Seat available in the wood finishes: Natural Oak, Wenge, Walnut, White, Green, Red and Blue (see wood samples below). Also available with 4 regular legs.